Supermassive black holes are at the heart of the high-energy phenomena observed at the centers of galaxies. Accretion of matter onto these monsters fuels the activity, releasing astonishing amounts of radiation over the whole electromagnetic spectrum, while contributing to the continuous growth of the black hole mass. The infall of matter is accompanied by outflow processes including hot winds from the innermost regions of the accretion flow and powerful collimated jets emerging from the nucleus and transporting matter and energy to large distances at relativistic speeds, well beyond the galaxy's visible boundaries. New observations at all wavelengths, made possible by continuous progress in astronomical instrumentation, provide new insight into inflow and outflow phenomena in the framework of a global picture of AGN activity. The FERMI satellite in particular has provided breakthrough gamma-ray observations that are crucial for the study of relativistic jets. At the meeting the following topics were presented and discussed by more than one hundred participants: (1) the build-up of mass and spin of the central black hole in the course of galaxy evolution and merging; (2) new modeling and observations of outflows from AGN; (3) relativistic jets; (4) populations and evolution of radio sources, including numerical MHD modeling and radio/optical/X-ray observations; (4) new results in gamma- ray astronomy at GeV and TeV energies and their interpretations; and (5) AGN feedback and the issue of radio-loud/radio-quiet diversity. These Proceedings contain 12 invited papers, 34 contributed papers, and 43 poster contributions. 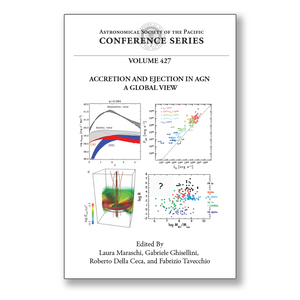 This Volume will be useful for readers interested in the link between AGN phenomena and extragalactic astronomy at large.